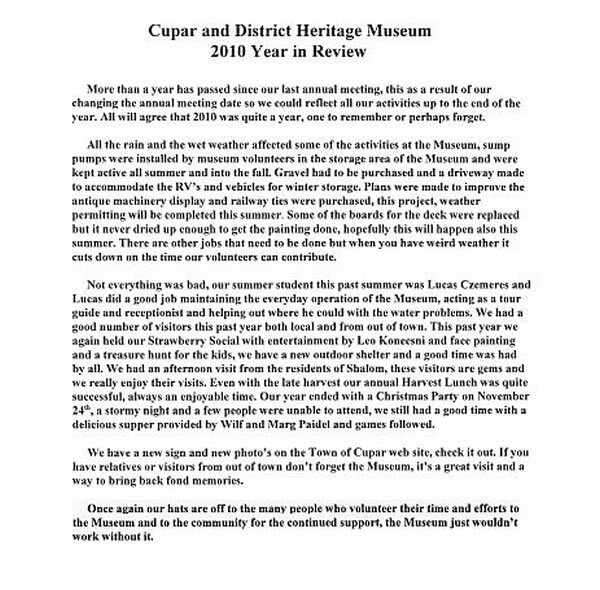 Cupar Heritage Museum began with a board being formed under the town of Cupar bylaw in 1990. 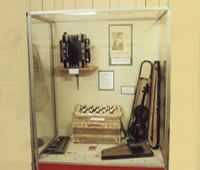 With assistance of the Town of Cupar, the Cupar Historical Committee, the Hungarian Dance Club, the Lions Club, various donations, fund raisers and much help from many volunteers and board members, the museum officially opened on Sunday, June 3, 1995. 343 square meters and a workshop area of 90 square meters. medical, military, farming and other historical views. The museum is opened seasonally from May long weekend to the long weekend in September with other visits available by contacting the town office or a museum board member. early life on the prairies. cuparsaskatchewan.blogspot.com Memories of 100 years of a small Saskatchewan town.